Remember the last day of your high school or college math class? It was great. You were so relieved that never again would you have to memorize an equation, deal with non-real and imaginary numbers (why learn it if they aren’t there? ), or figure out those ridiculous buttons on a calculator. As soon as life started really happening, you realized math was everywhere. Once you needed to pay bills, deal with taxes and interest, paint or organize a room, and pinch your pennies with coupons, math skills became increasingly necessary. Word problems were no longer how much faster Timmy got to town than Sarah, but how much faster/slower are highways compared to side roads during your morning commute. 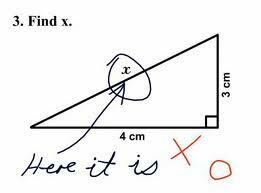 Basic math skills are everywhere in our life. After secondary and post-secondary school, there are few opportunities to gain these skills. Teachers Investigating Adult Numeracy is a US Department of Education supported initiative that develops mathematics as a professional development for adult basic education teachers. Once teachers have increased their math knowledge, they will be able to pass it onto their students during tutoring sessions in a variety of approaches. TIAN provides examples of lessons that have worked in the classroom and curriculum for teachers that are applicable to adult learner’s lives. As a tutor/teacher, you can incorporate pie charts, graphs, fractions and percentages to help your learners better understand financial and health literacy. If you have a career pathways focus to your lesson, basic math skills, including being able to read charts and graphs, are imperative to the job market. Incorporating math provides more visuals and you’ll increase your learner’s skills more than threefold. Relate to them by telling your painful math story from back in the day, but how useful it is in your daily life. Most importantly, have fun. If you find something that works, let me know and we’ll tell your success story! This entry was posted in Florida Literacy Conference and tagged Florida Literacy Coalition, math, math literacy, TIAN by Florida Literacy Coalition. Bookmark the permalink.